This past week not only was it my first week back in San Diego but it was also the beginning of my training for my next race. 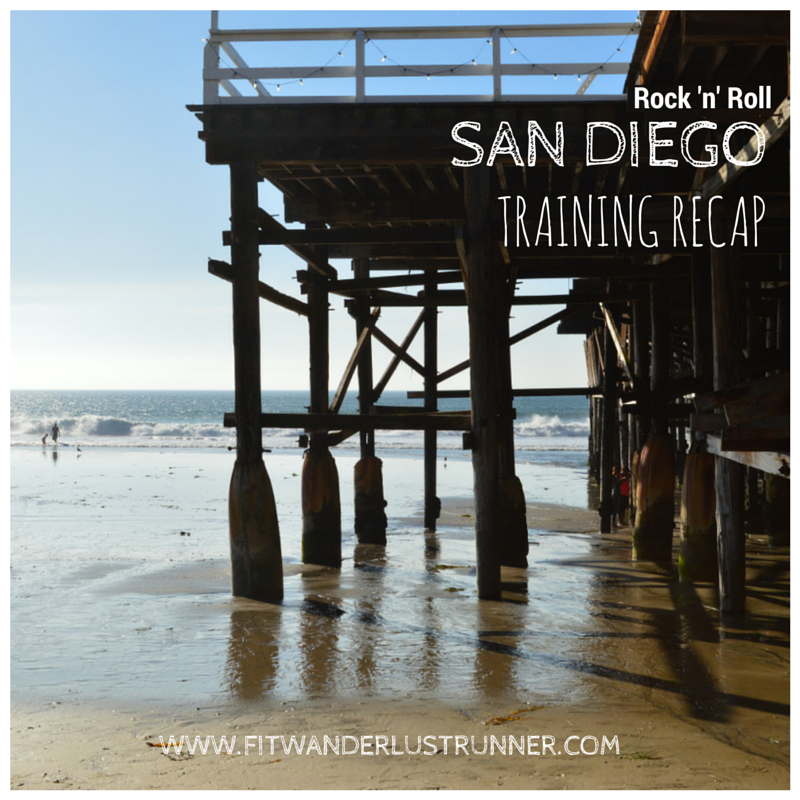 I'll be running the Rock 'n' Roll San Diego half marathon on May 31st. I've ran this race multiple times before. Initially this race was only a full marathon course and in fact has been the only marathon course I have ran. Over the years they have added different race lengths along with the full marathon. I believe this year they are offering a 5k, a two person half marathon relay, a half marathon, and a full marathon. Even though this week was super slow for me in regards to training, it was a good way to see where I stood. And the reality is that I am really out of shape! 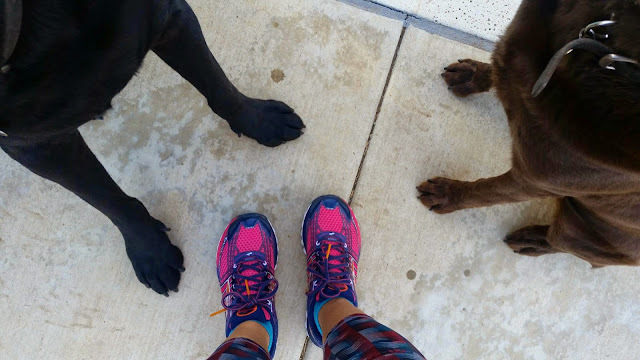 MONDAY: Ran with my doggies just around the neighborhood. No Garmin so no distance but can't imagine it was more than 2 miles. THURSDAY: Yoga! I am trying to do this once a week since I am really bad with stretching. I've been doing them online in the convenience of my own place. FRIDAY: Same run with my dogs as Monday. 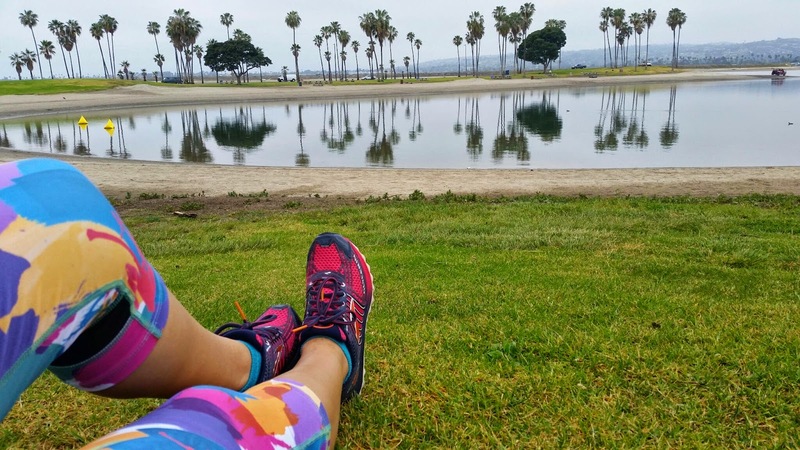 SATURDAY: Ran a little over 3 miles at Mission Bay and did some calisthenics. The views were magnificent...my pace was horrible though. I used Runkeeper since I didn't charge my Garmin and it was sad to see how slow I've gotten. TODAY (SUNDAY): Did some cross training and went for a hike up Cowles Mountain. 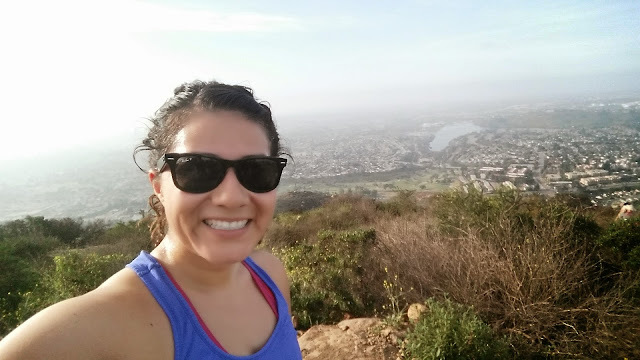 It was beautiful at the top but my lungs weren't quite cooperating with me. I've been dealing with a cold all week and I sure felt it going up. My legs felt fine but my chest felt like I was sucking on a straw to catch air. I am going to try to climb this mountain once a week to hopefully see improvement with my time. 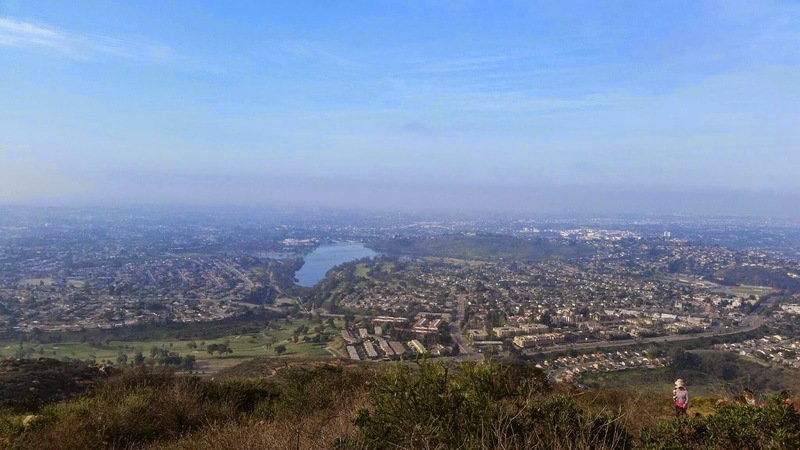 But like I said the views of SD were well worth the hike! I don't have a gym membership over here yet and I don't think I am going to get one until I buy a house. So my training is going to be a lot different than my other races. The next 10 weeks I won't be able to weight lift to cross train but I am hoping to incorporate different ways of cross training like hiking, yoga, Insanity, calisthenics, etc. I hate the treadmill but it is a great way of getting my sprint workouts, or just getting some miles in after a 12.5 hours work shift. It will be tough getting those weekly miles in without my gym membership. As for my foot pain...yeah it's still there unfortunately. Even with all this time off I've taken, the pain is still there. The only difference is that I didn't have my feet taped this week. I am going to have to go to a local running store to get Rock or KT tape. Taping my feet makes a huge difference. If not, what exercises do you do from home?